Dr Uwe Vagelpohl studied philosophy, Arabic and Islamic Studies in Bamberg, Cairo and Berlin before completing his Ph. D. in Middle Eastern Studies at the University of Cambridge. He worked as a translator and held research positions at the University of California at Berkeley (2004-5), Hampshire College (2005-8) and now the University of Warwick (since 2008). His teaching assignments at Hampshire College included courses on the history of Islam and the emergence and reception history of the Qur’ān. Translation as a medium of cultural communication and transformation in late antiquity and the Middle Ages is at the center of Dr Vagelpohl's research. Translations from Greek into Arabic had an immeasurable impact on all aspects of medieval and modern Islamic civilization; they are emblematic for the wide-ranging cultural and scientific exchanges between East and West in the early Middle Ages. Apart from the linguistic issues involved, Dr Vagelpohl is also keenly interested in the complex interactions between Muslim scholars and their religious beliefs and the antique philosophical and scientific heritage throughout the Middle Ages. At Warwick, he contributed from 2008 to 2012 to the first stage of the Warwick Epidemics, the edition of the Arabic version of the first two books of Galen's Commentary on the Hippocratic Epidemics funded by the Wellcome Trust and supervised by Simon Swain and Peter E Pormann. In fall 2012, he started his own Wellcome Fellowship project, an edition and translation of Book 6 of the same commentary. Gregor Schoeler: The Oral and Written in Early Islam, tr. by U. Vagelpohl, ed. by J. E. Montgomery. London: Routledge, 2006. Aristotle's Rhetoric in the East. The Syriac and Arabic translation and commentary tradition. Leiden: Brill, 2008. Gregor Schoeler: The Biography of Muhammad, tr. by U. Vagelpohl, ed. by J. E. Montgomery. London: Routledge, 2009. ‘Translation Literature'. In Versteegh, Kees et al. (eds. ): The Encyclopedia of Arabic Language and Linguistics 4:542-548. Leiden: Brill, 2009. 'The Prior Analytics in the Syriac and Arabic tradition'. Vivarium 48/1-2 (2010), 132-156. ‘The Abbasid translation movement in context. Contemporary voices on translation’. In Nawas, John (ed. ): Abbasid Studies II. Occasional Papers of the School of Abbasid Studies. Leuven, 28 June – 1 July, 2004, 245-267. Leuven: Peeters, 2009. 'Cultural Accommodation and the Idea of Translation'. Oriens 38/1-2 (2010), 165-184. 'In the Translator's Workshop'. Arabic Sciences and Philosophy 21/2 (2011), 249-288. (with Bink Hallum, N. Peter Joosse, Peter E. Pormann and Simon Swain) 'A New Manuscript: Istanbul, Süleymaniye Kütüphanesi MS Ayasofya 3592'. In Pormann, Peter E. (ed. ): Epidemics in Context. Greek Commentaries on Hippocrates in the Arabic Tradition, 15-22. Berlin, New York: de Gruyter, 2012. 'Galen, Epidemics Book One: Text, Transmission, Translation'. In Pormann, Peter E. (ed. ), Epidemics in Context. Greek Commentaries on Hippocrates in the Arabic Tradition, 125-150. Berlin, New York: de Gruyter, 2012. Galeni in Hippocratis Epidemiarum librum I commentariorum I-III versio arabica. Corpus Medicorum Graecorum. Supplementum Orientale V,1. 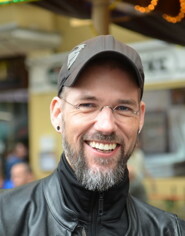 Berlin: De Gruyter, 2014.